Go to Library > Exercise and select the exercises you would like to add to the program. Click on the exercise basket to open the program designer. Click on the print button to print the program. Go to Clients and open the client whose program you would like to print. 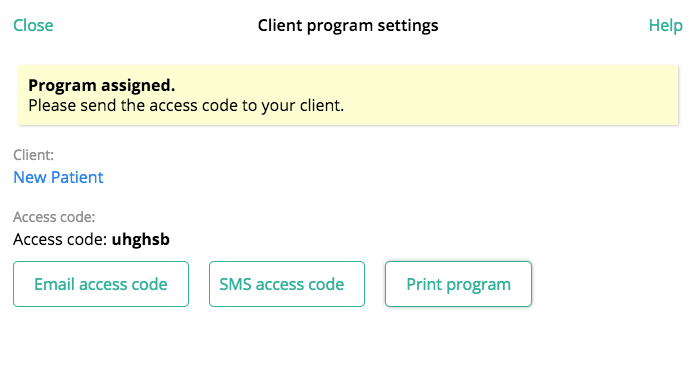 Select the program that you want to print, and click "View program". This opens up the program in the program designer. NOTE: You also have the opportunity to print the program after you have assigned it to your patient.